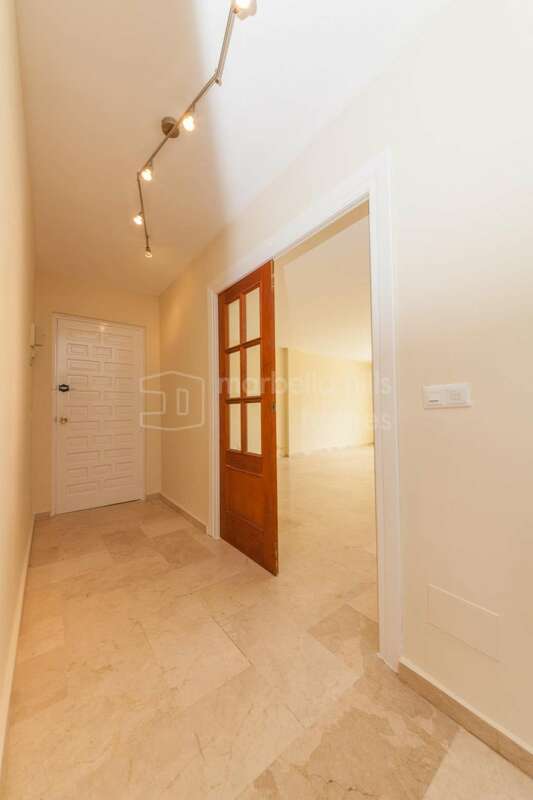 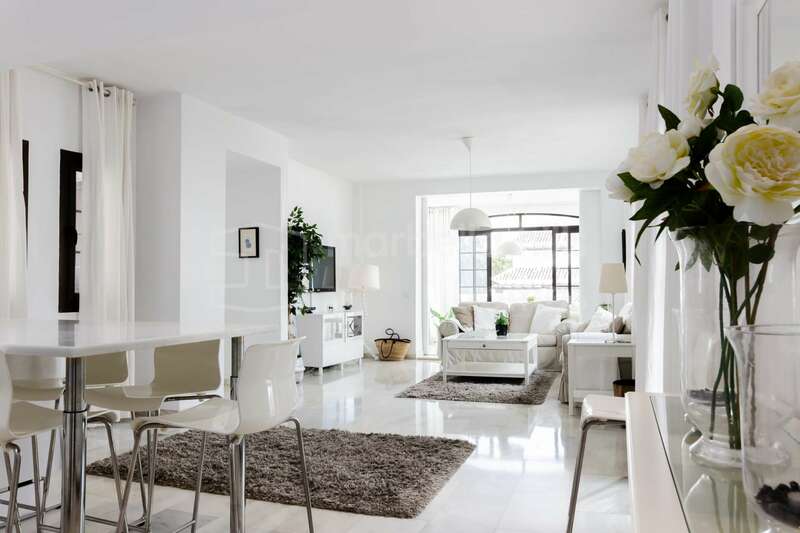 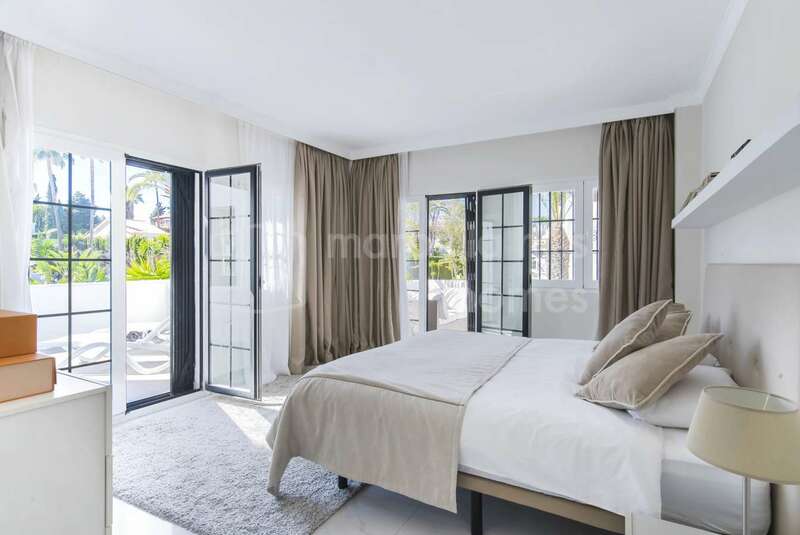 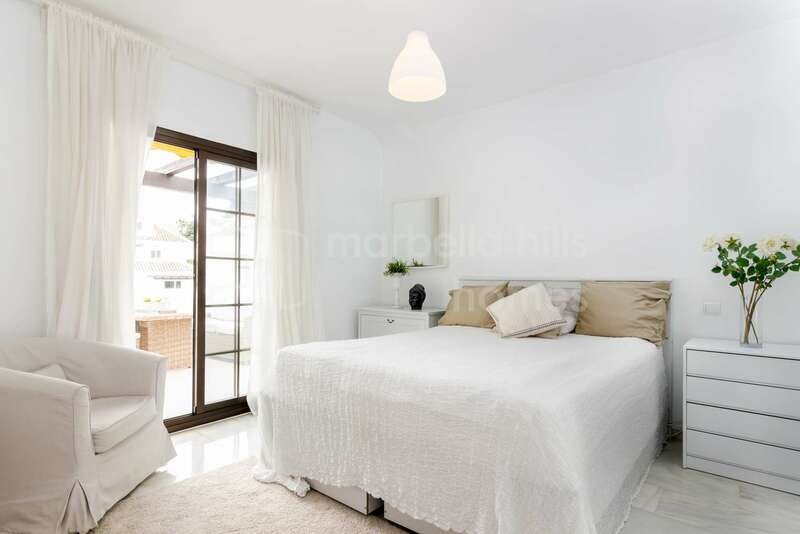 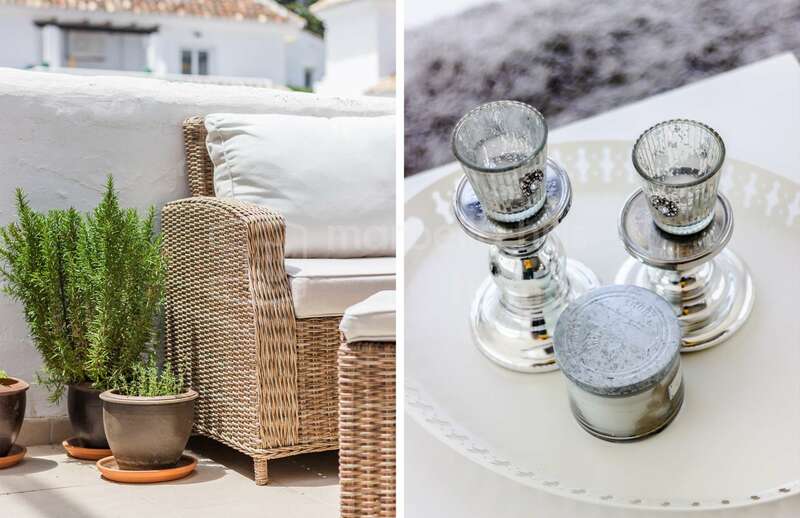 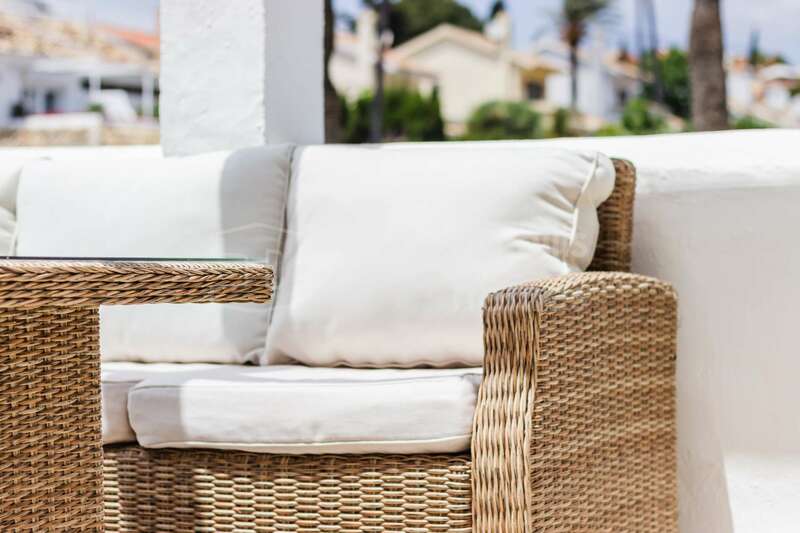 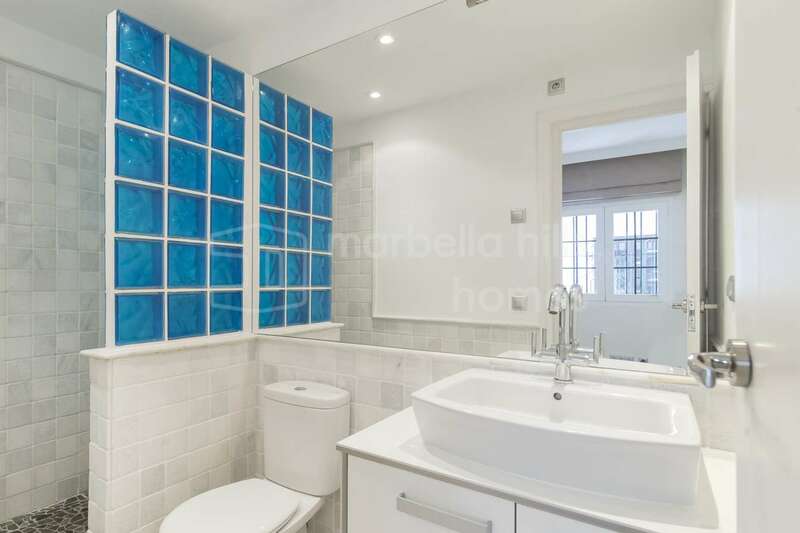 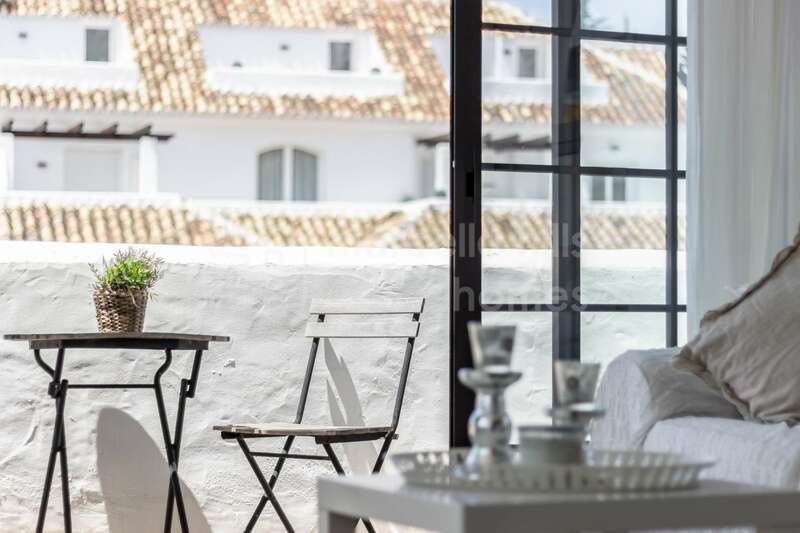 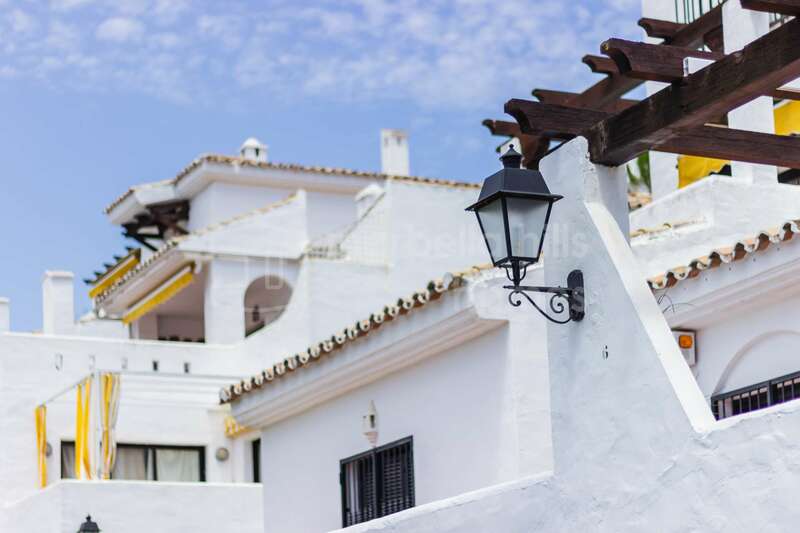 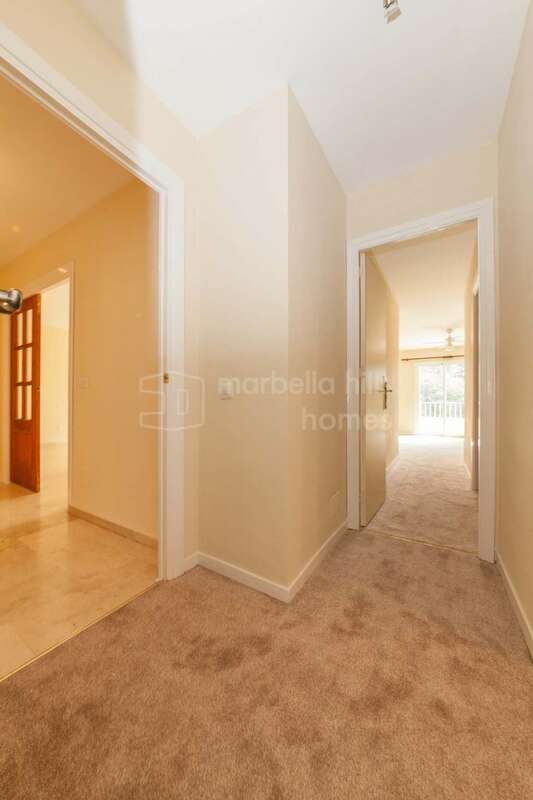 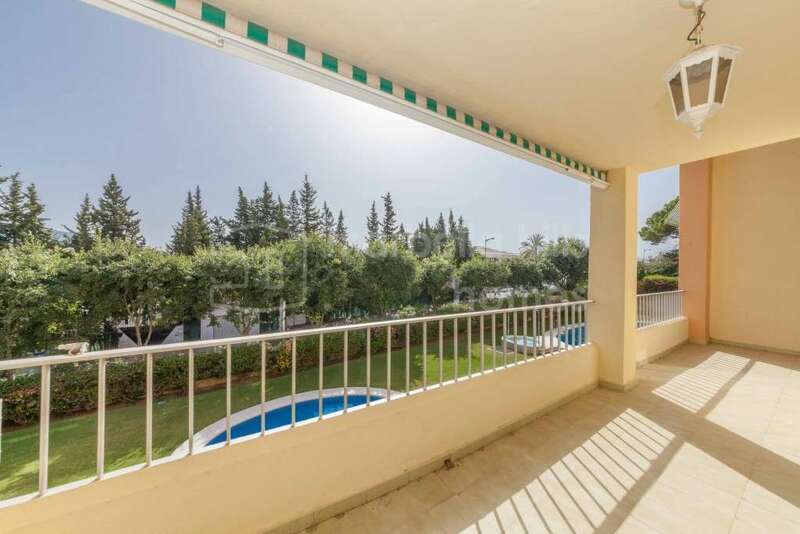 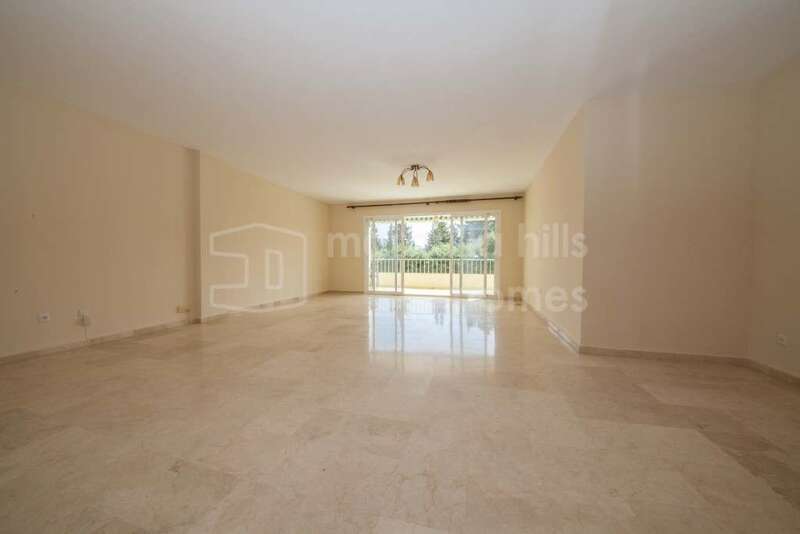 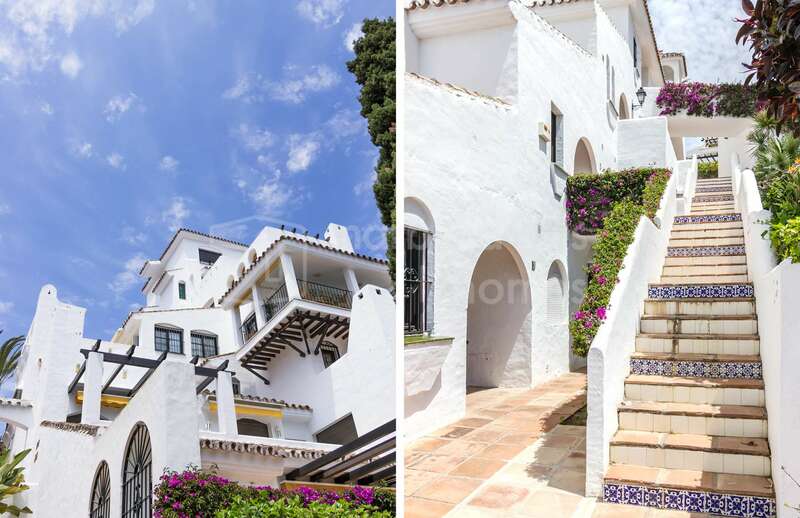 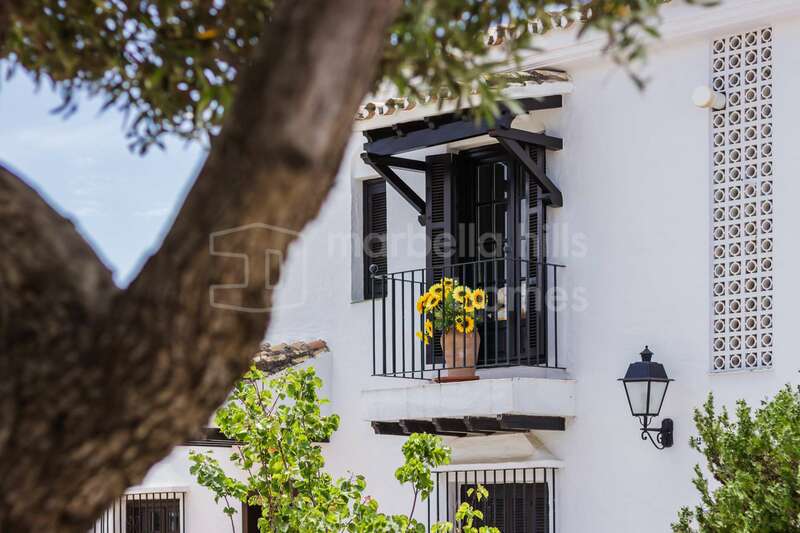 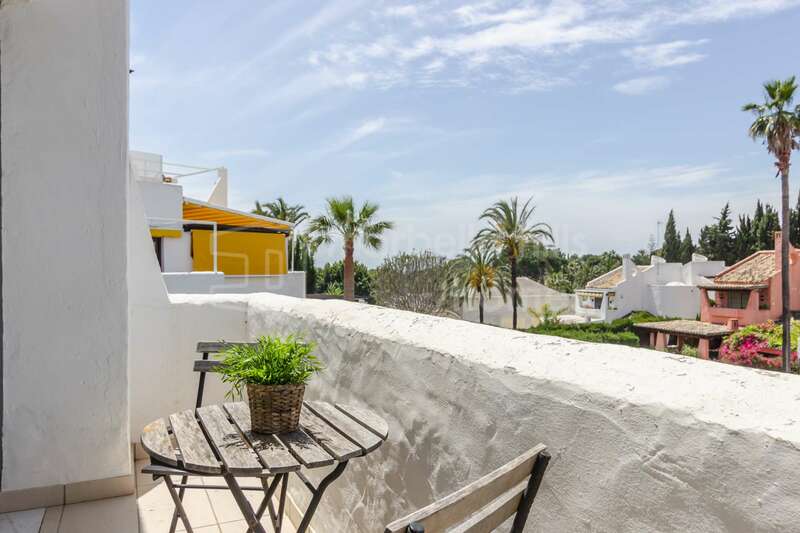 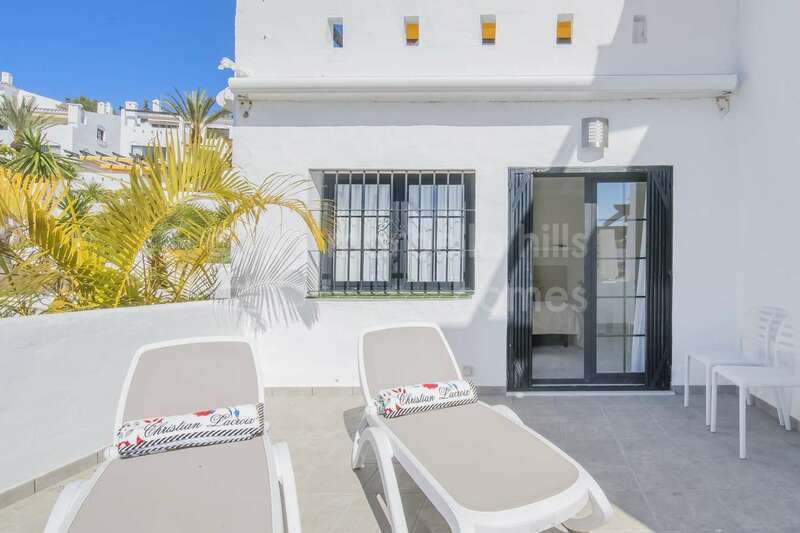 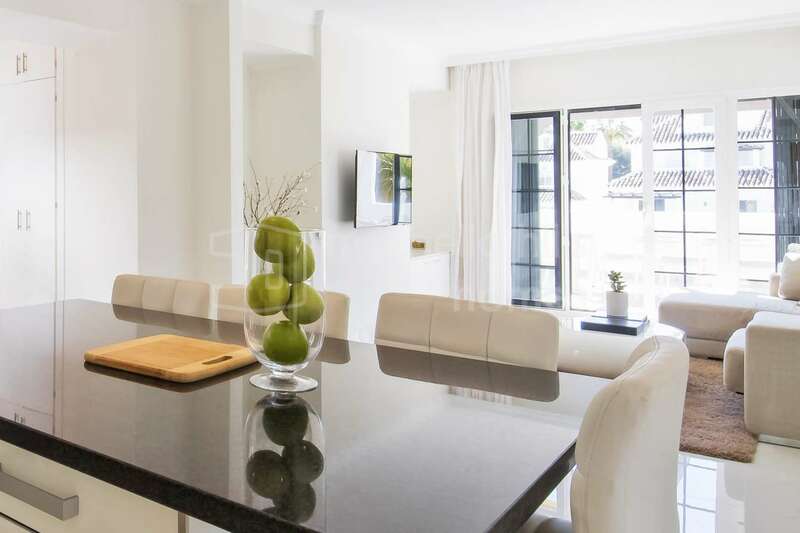 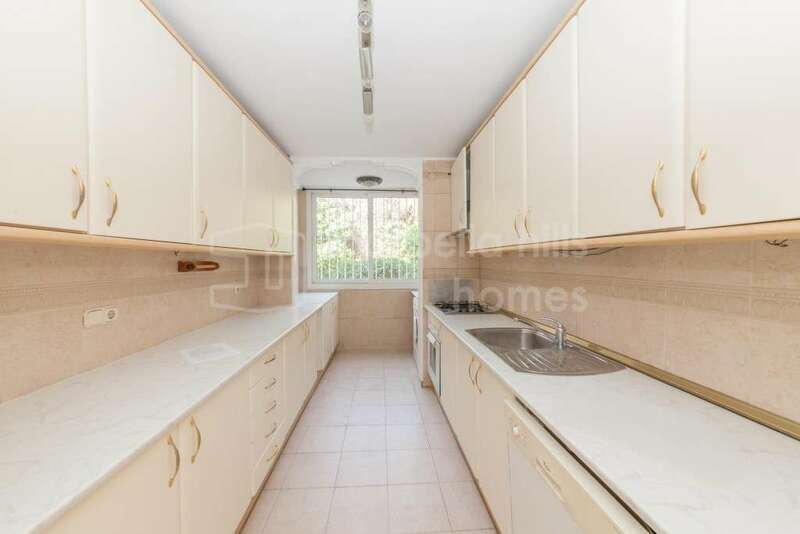 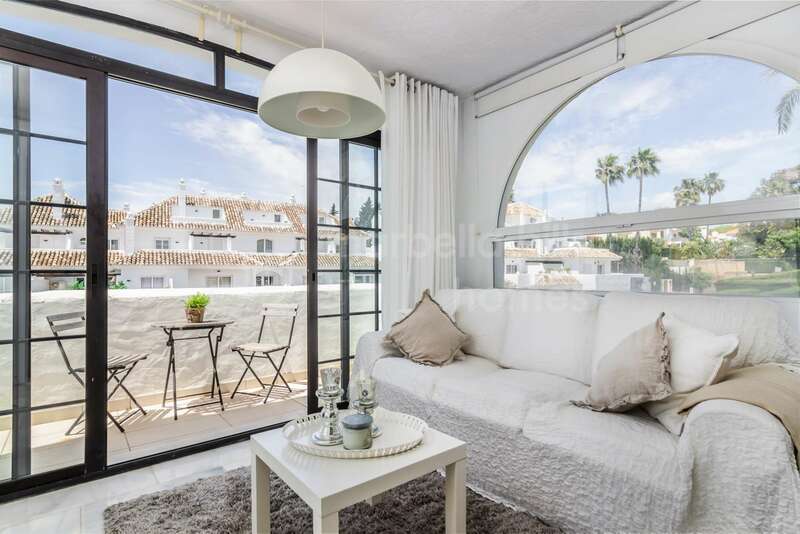 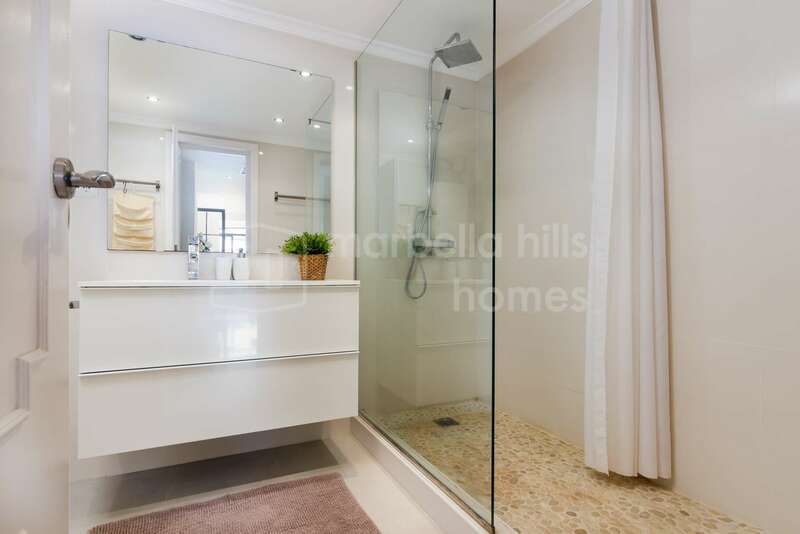 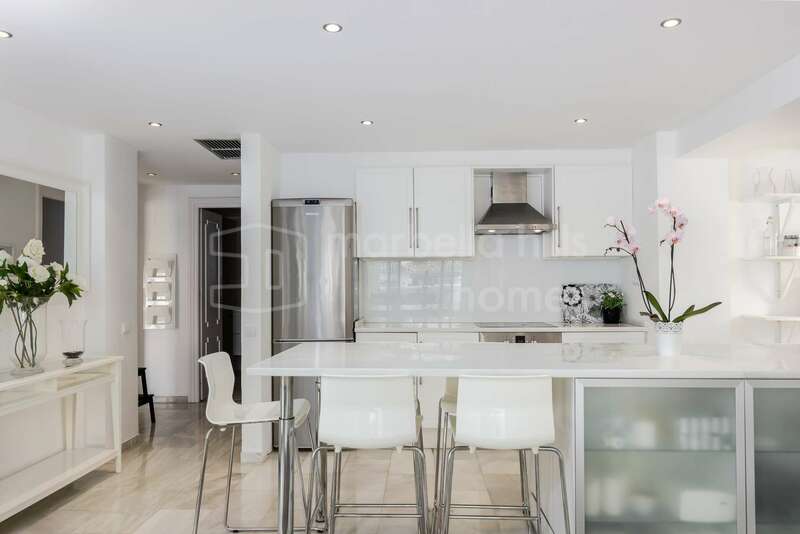 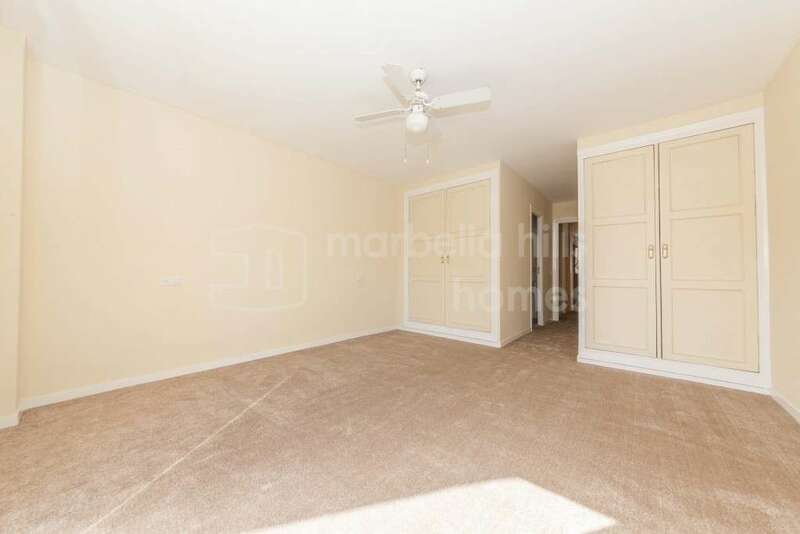 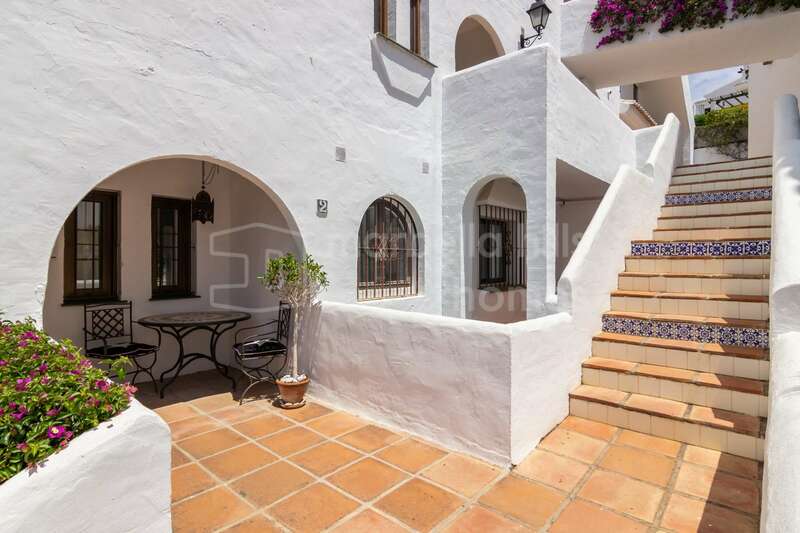 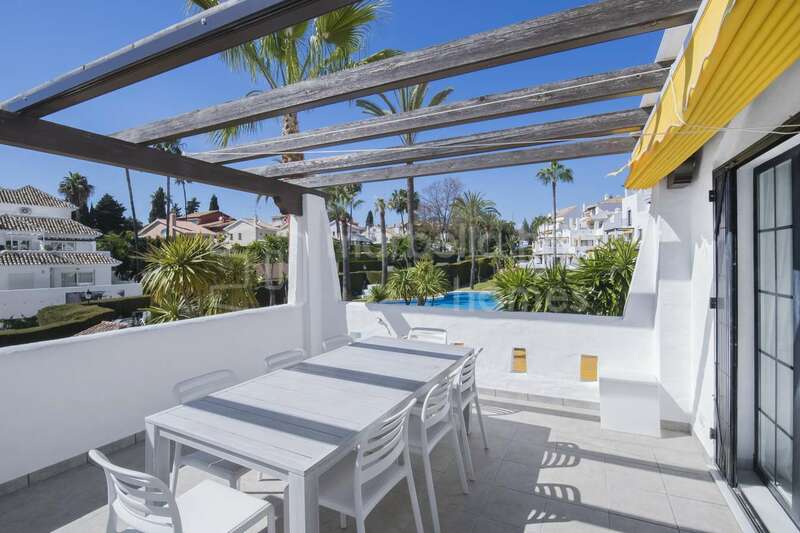 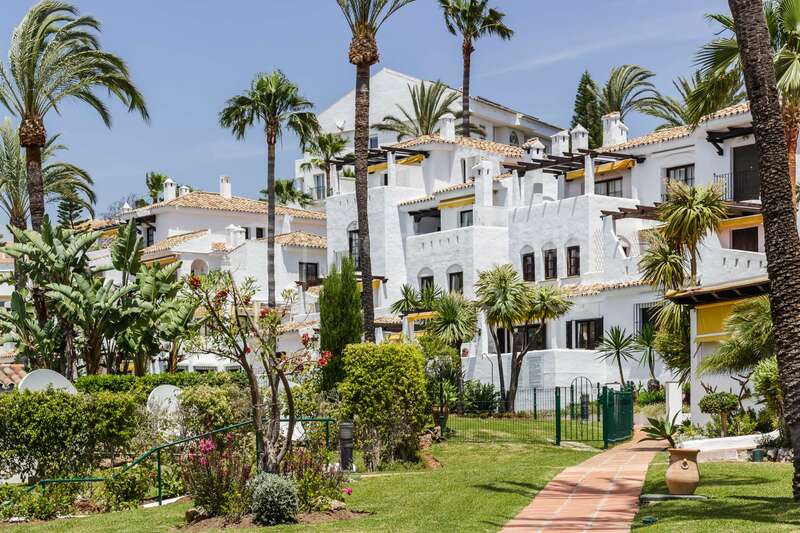 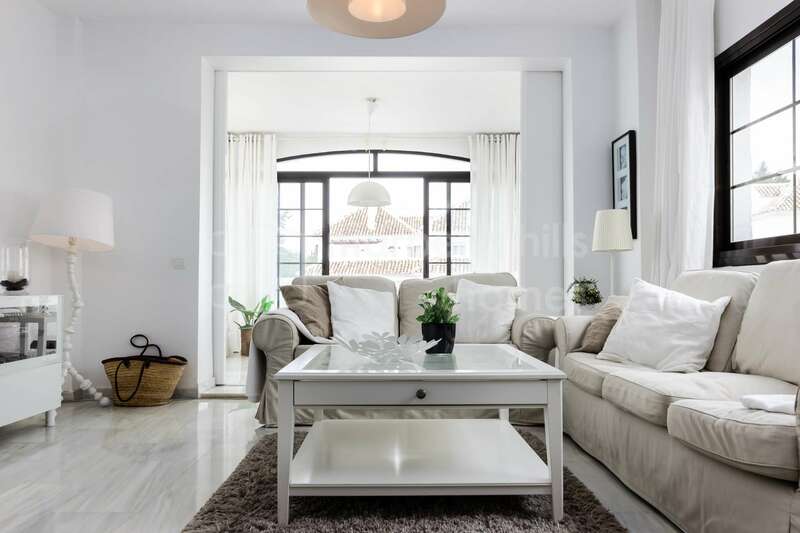 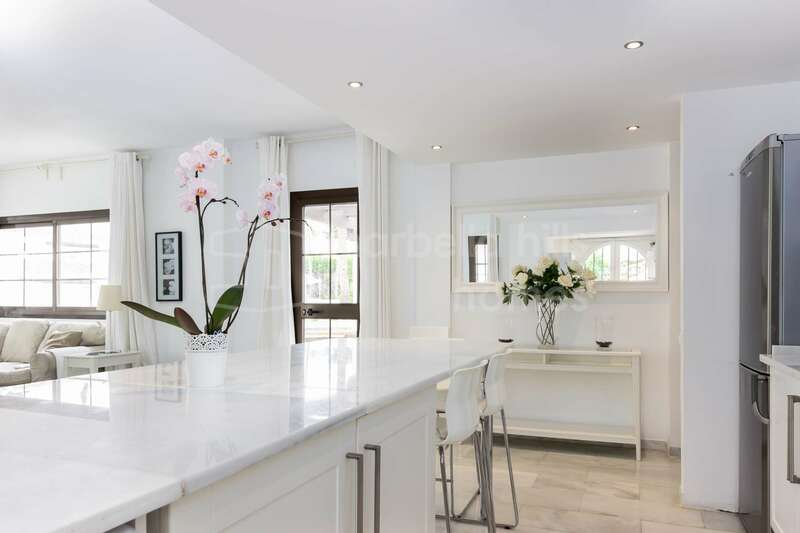 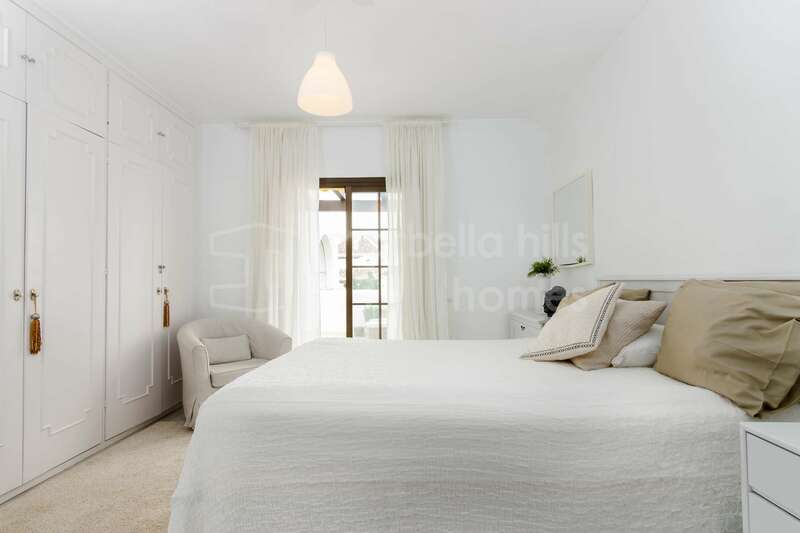 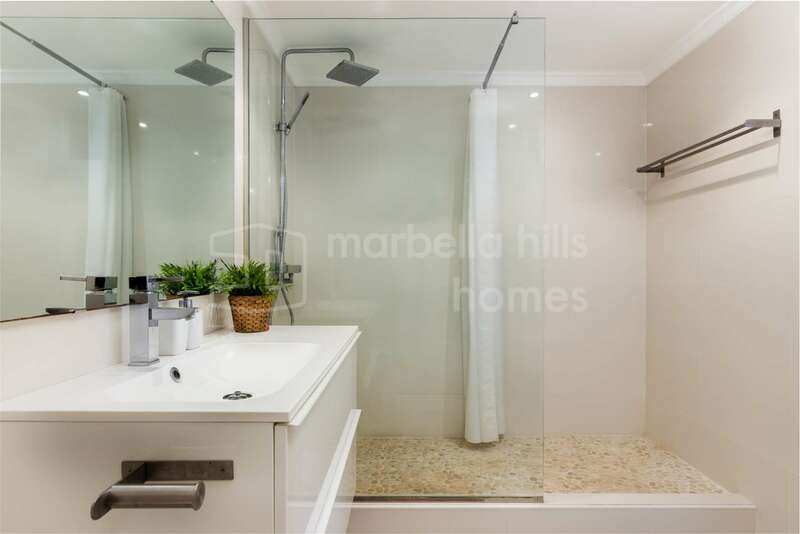 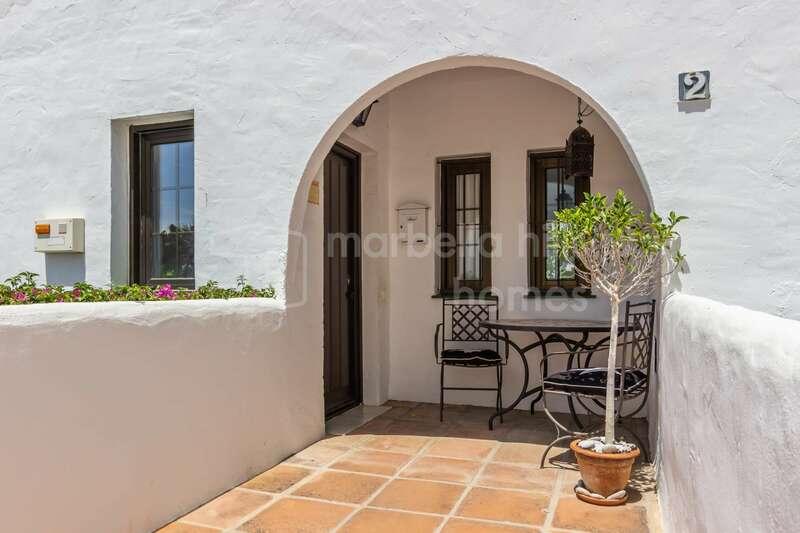 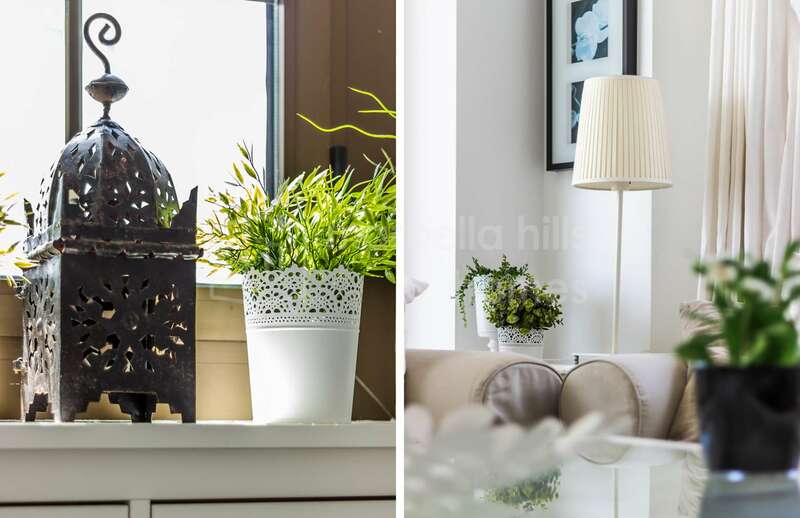 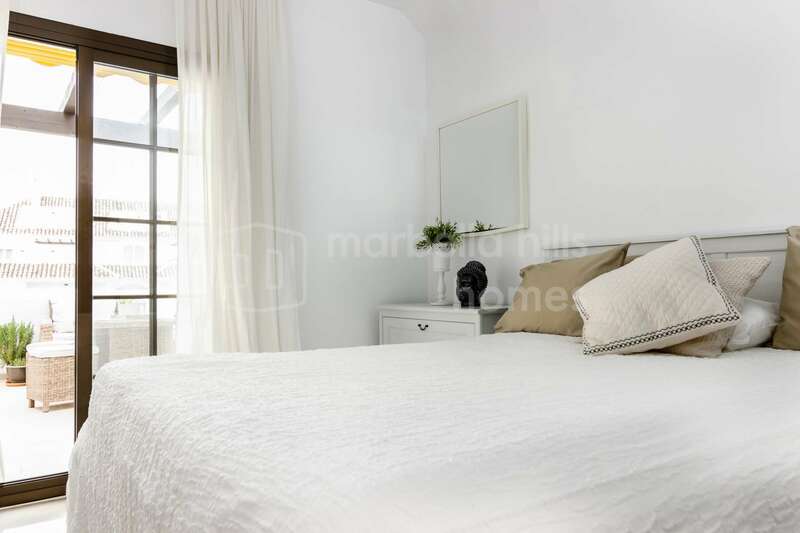 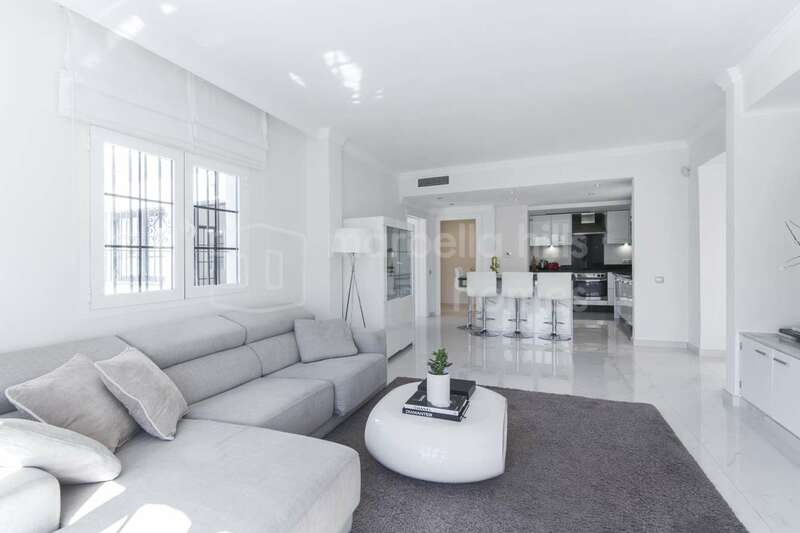 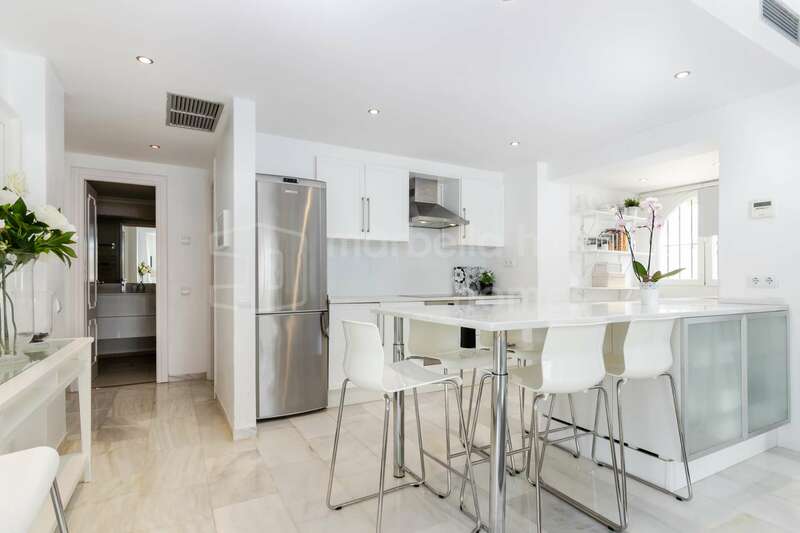 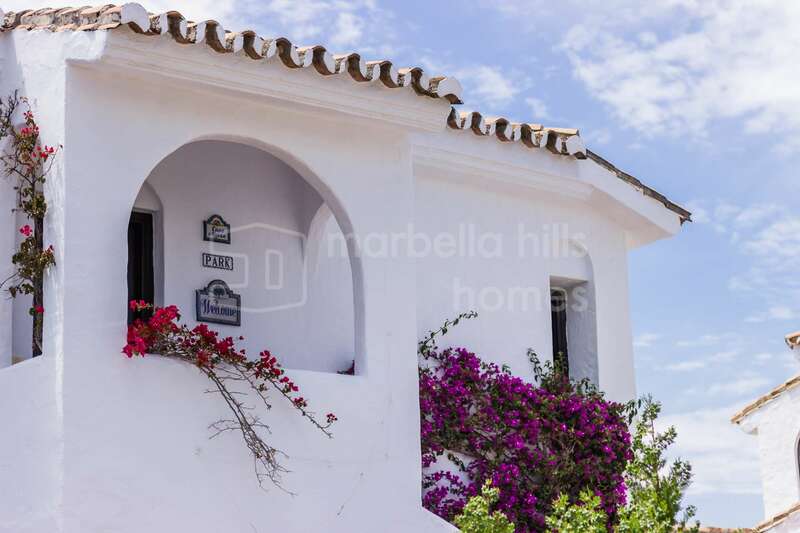 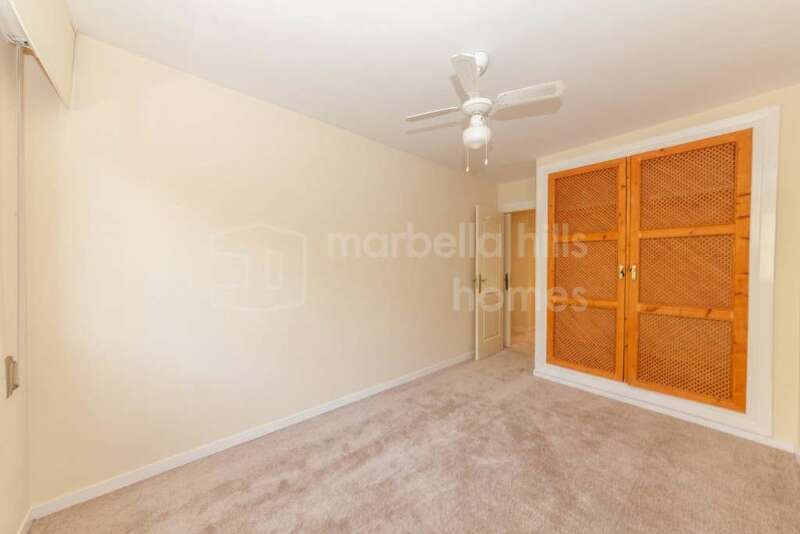 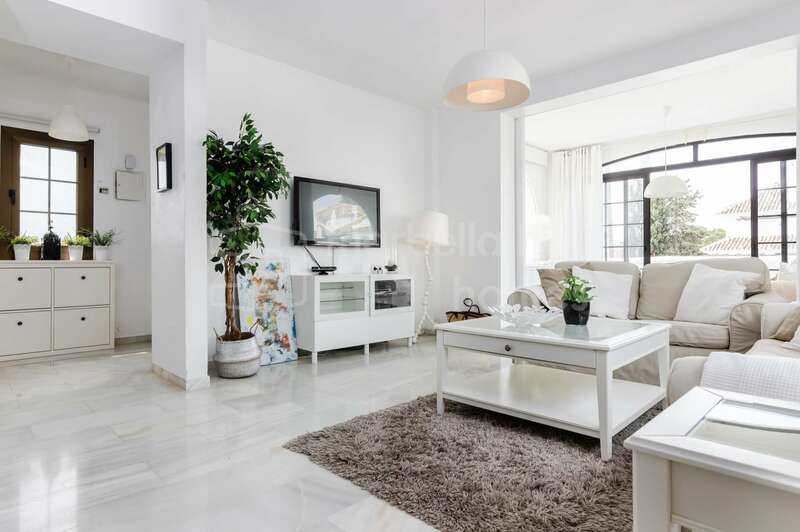 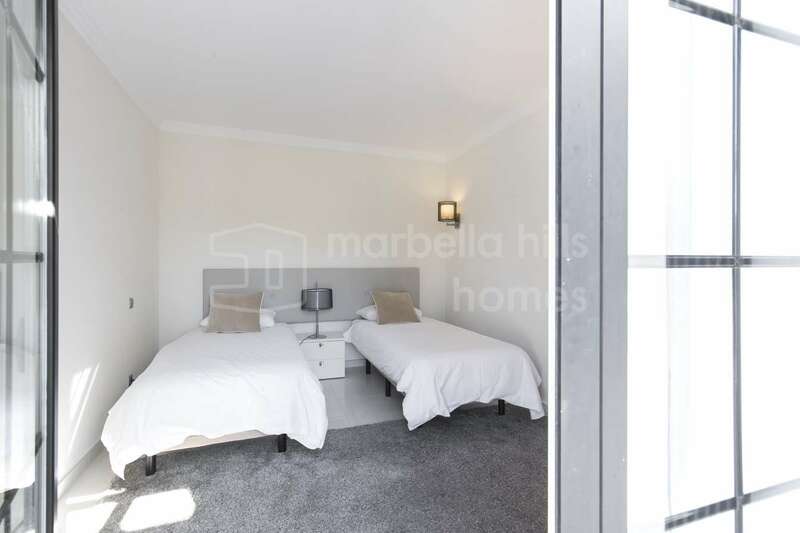 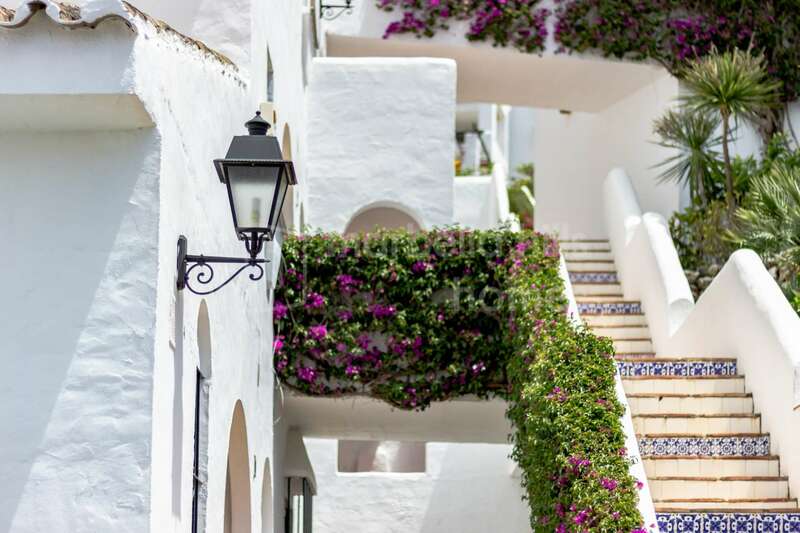 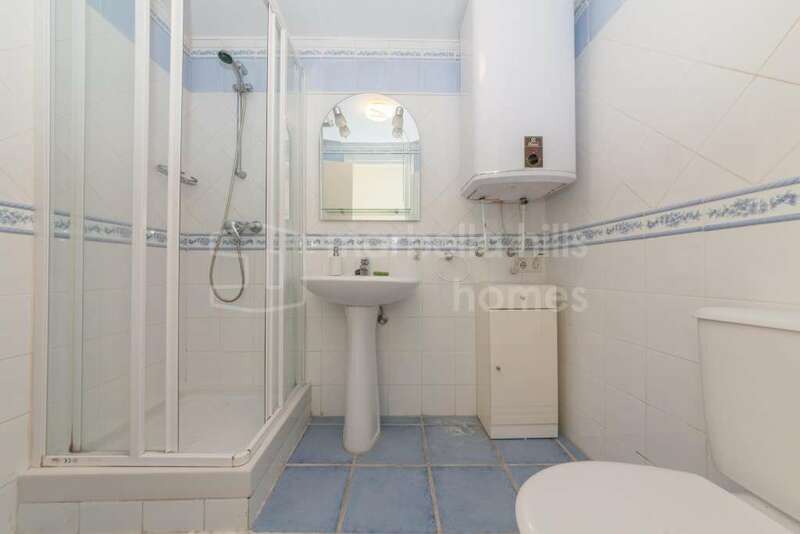 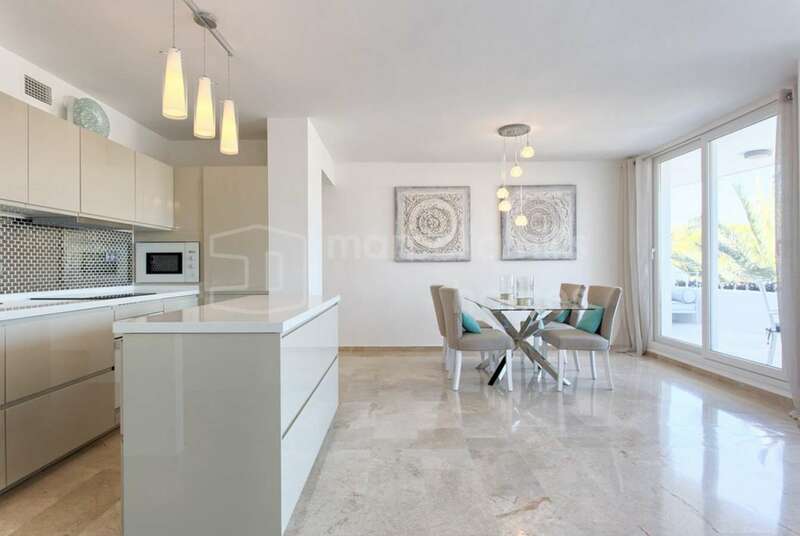 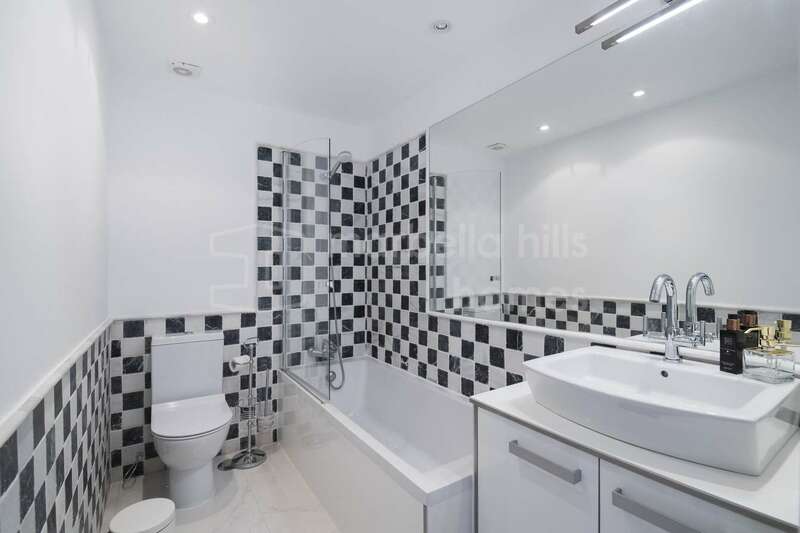 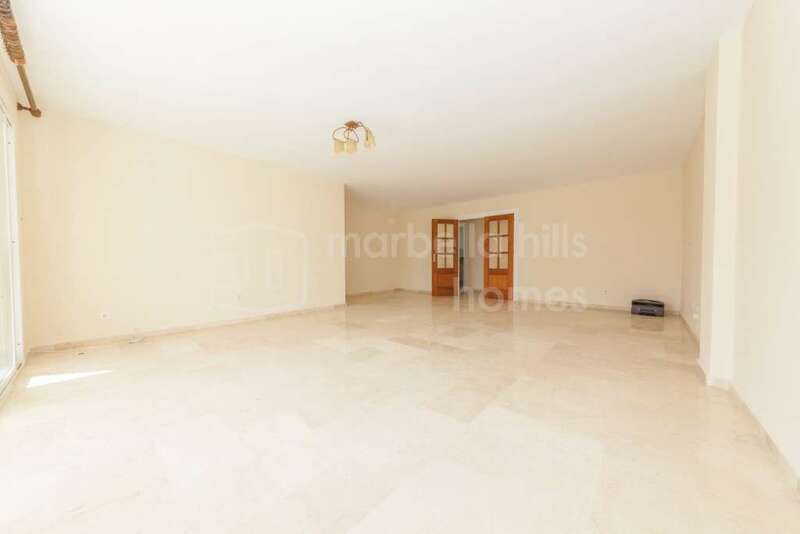 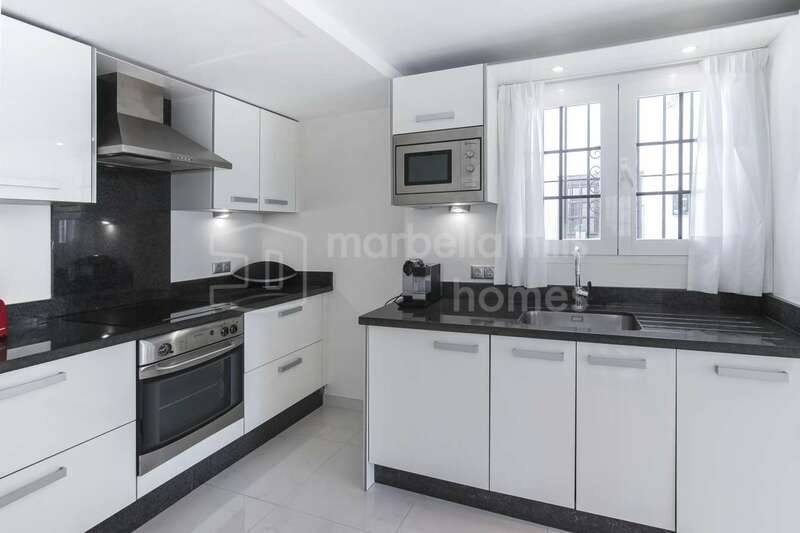 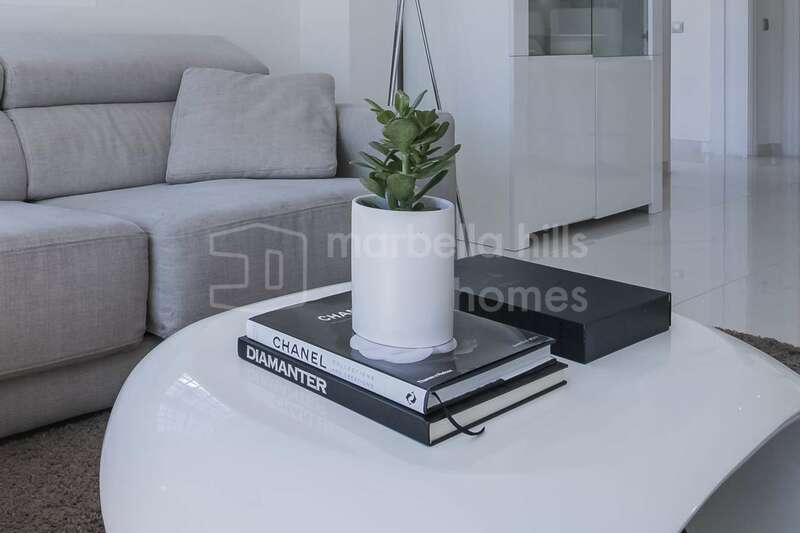 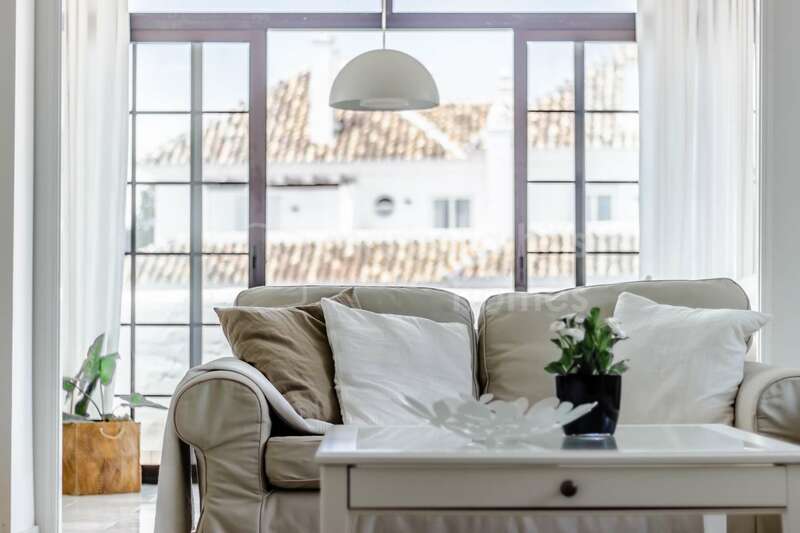 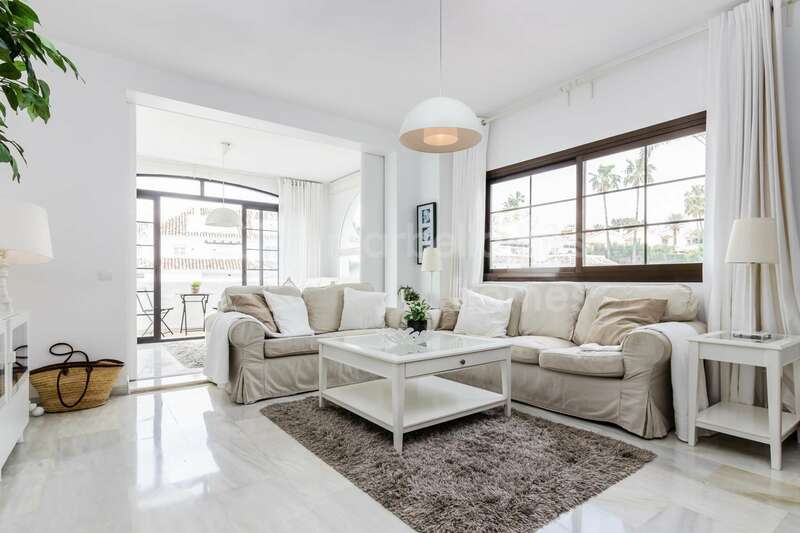 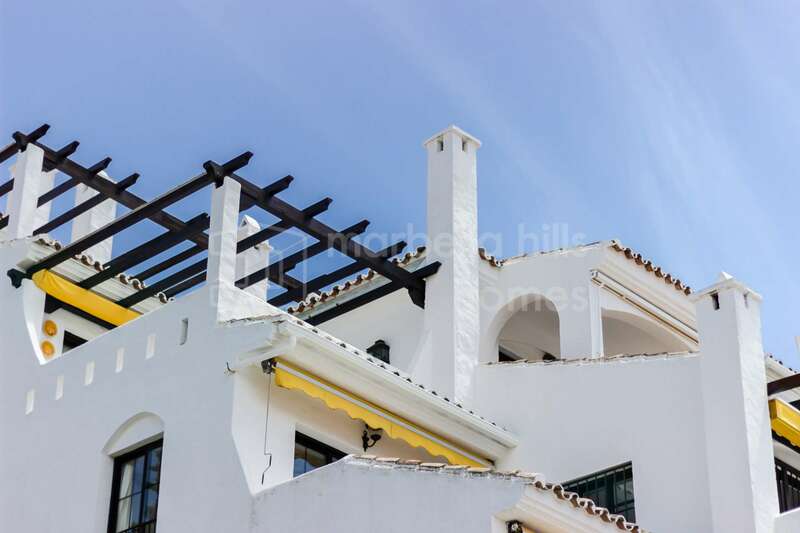 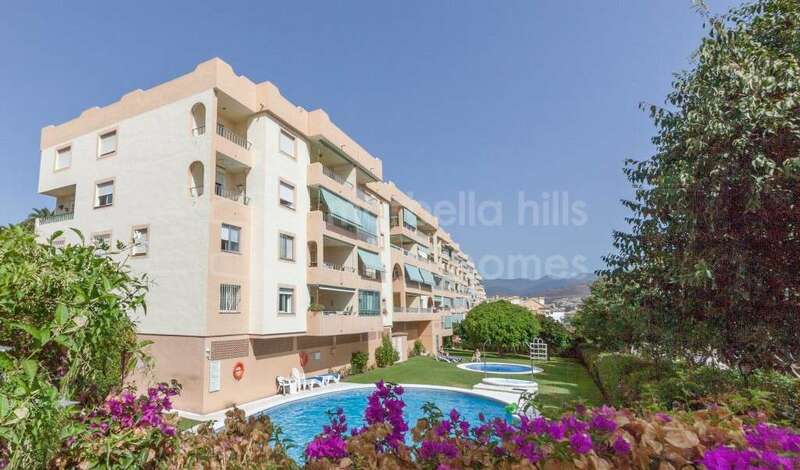 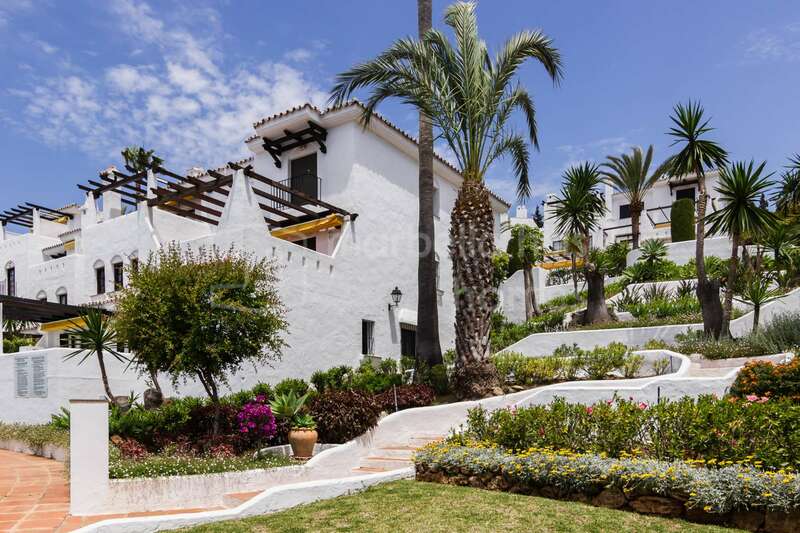 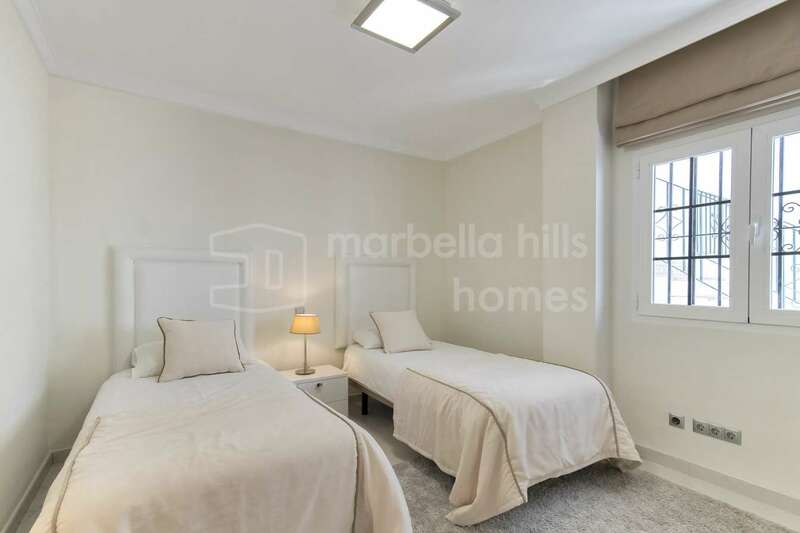 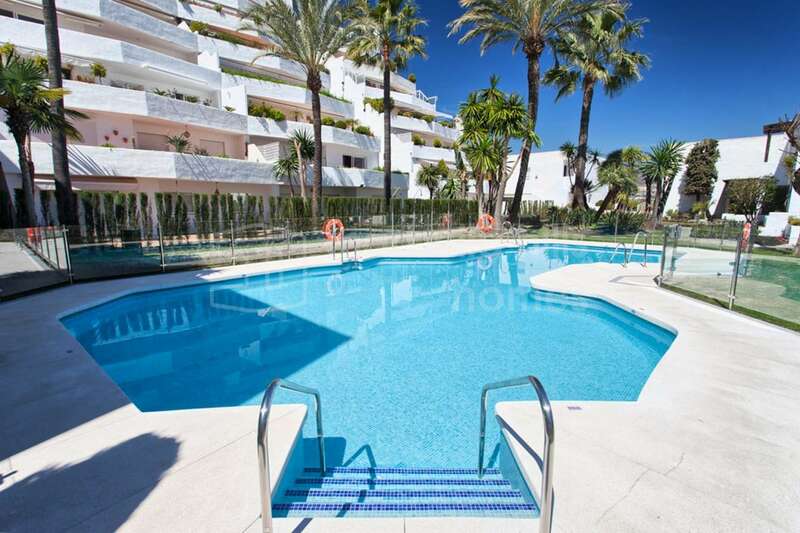 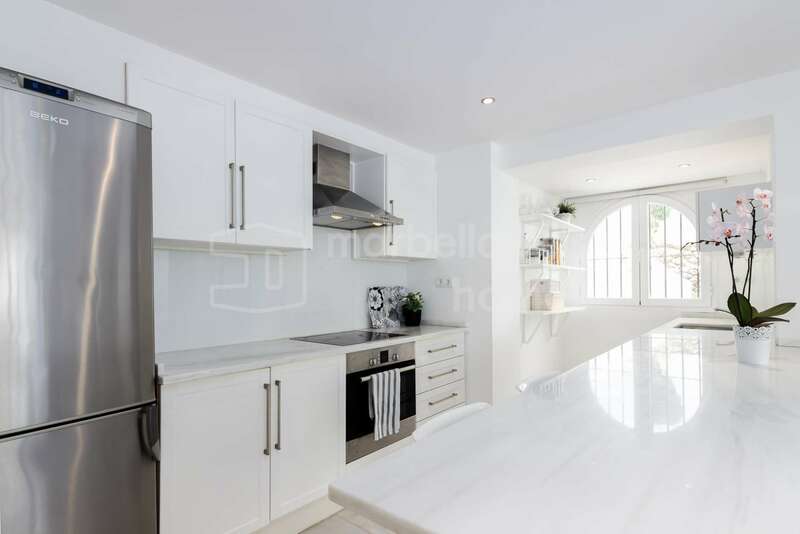 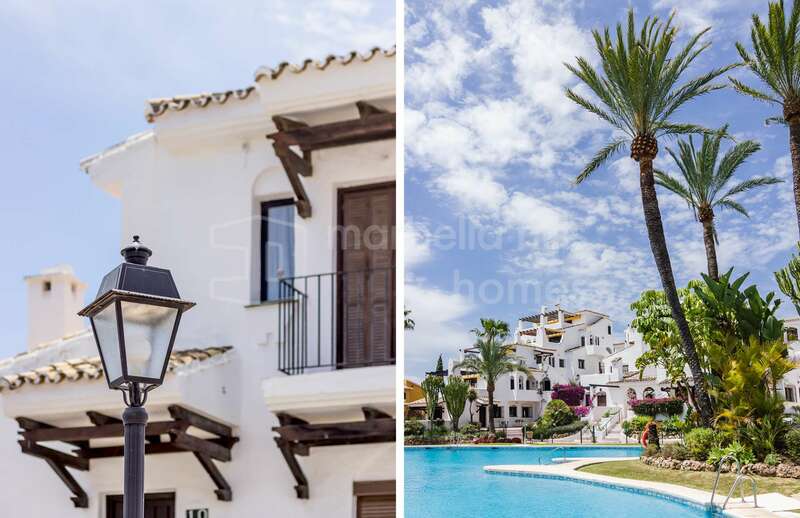 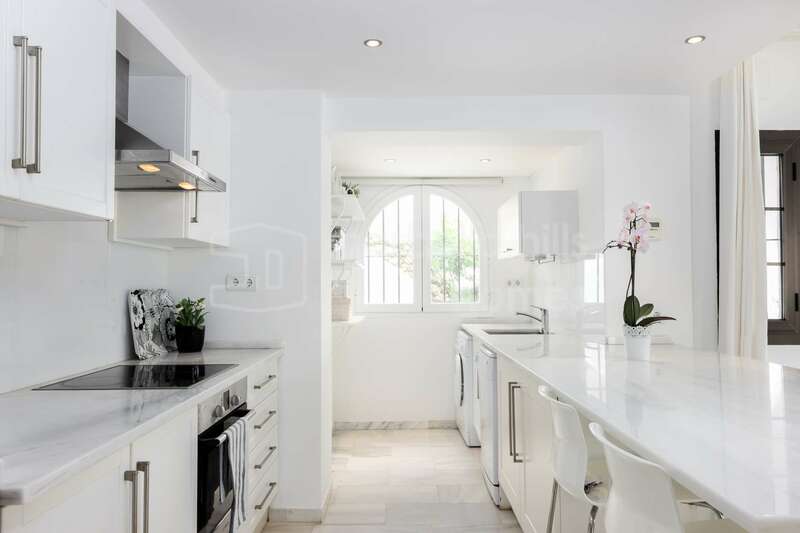 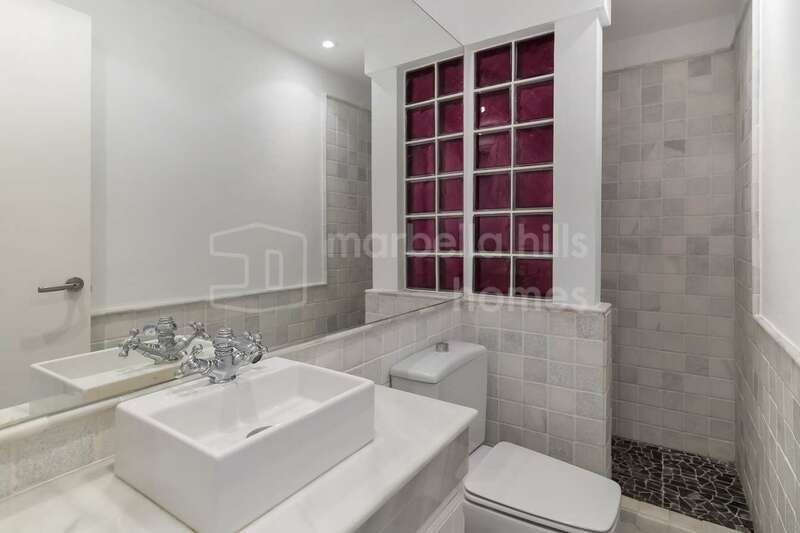 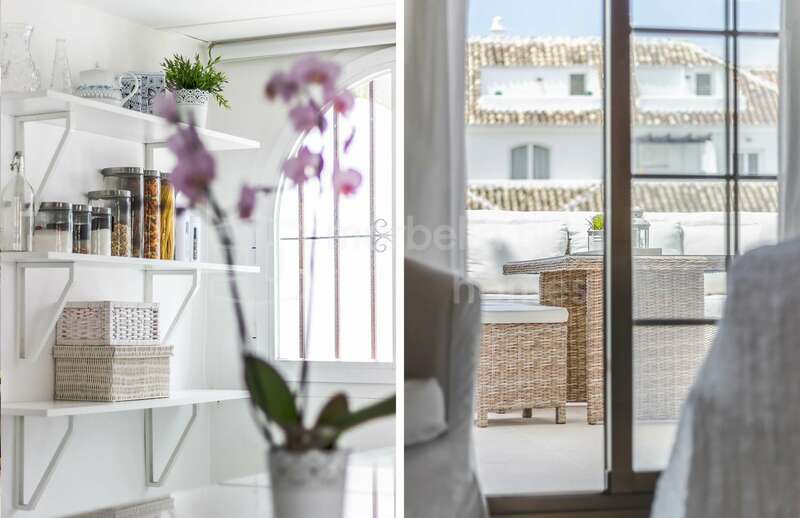 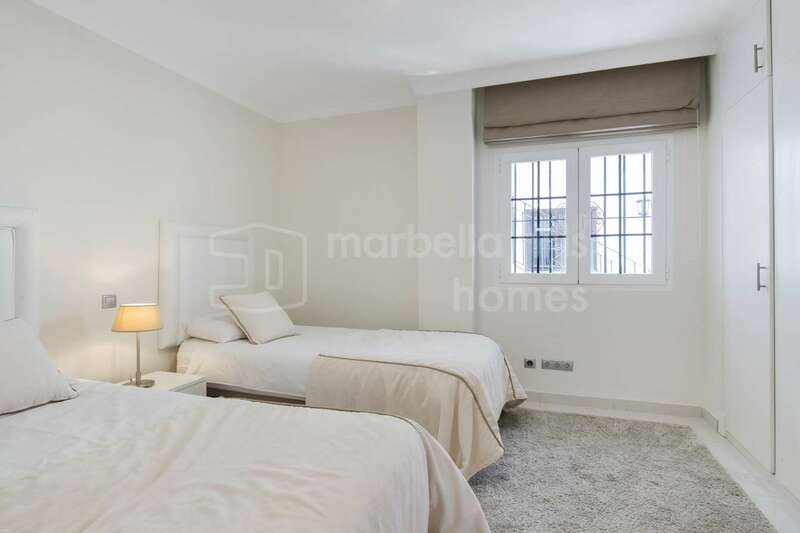 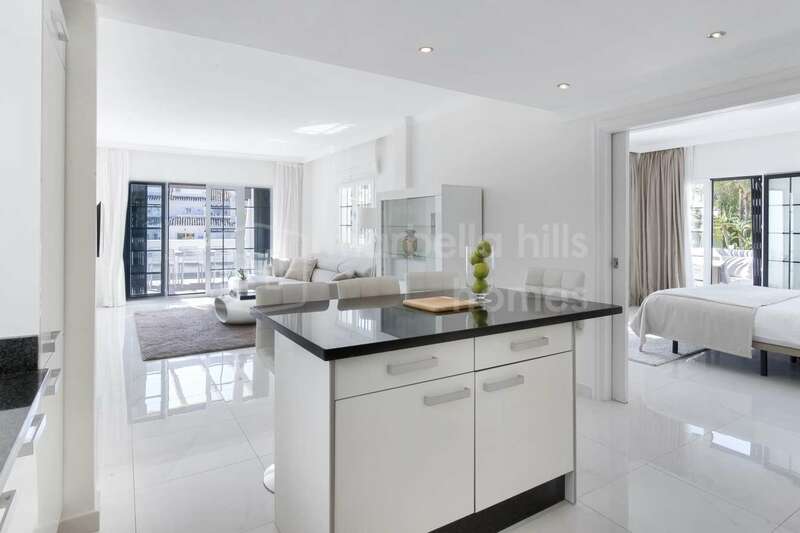 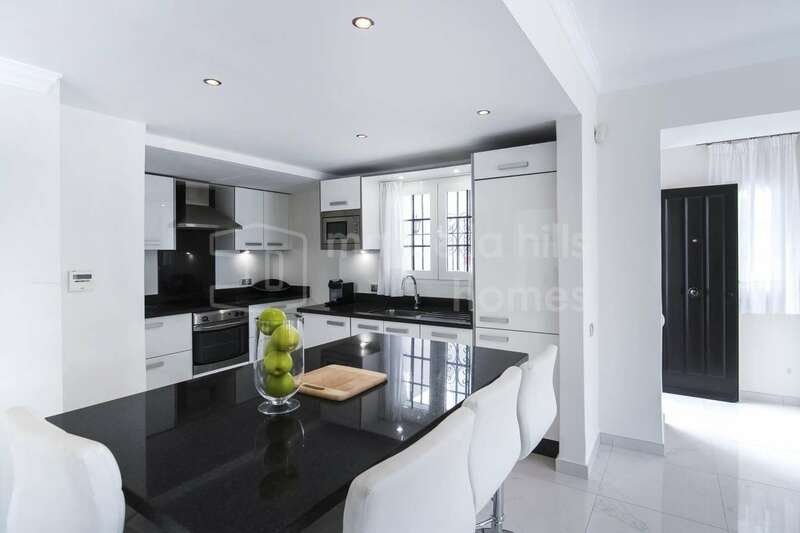 Superb spacious two bedroom apartment located in the heart of Nueva Andalucia, one of the most residential areas of Marbella, in the prestigious complex of Aldea Blanca, just a few minutes walk from the beaches, Puerto Banùs, the best golf courses and from all the shops. 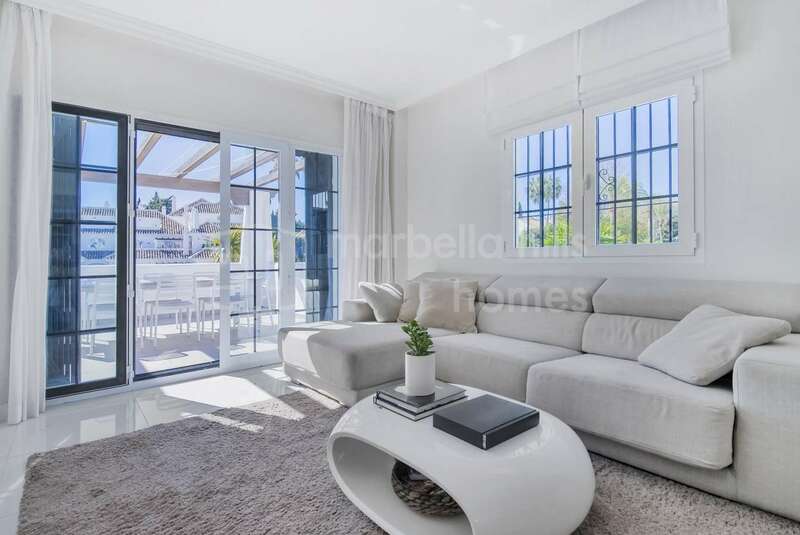 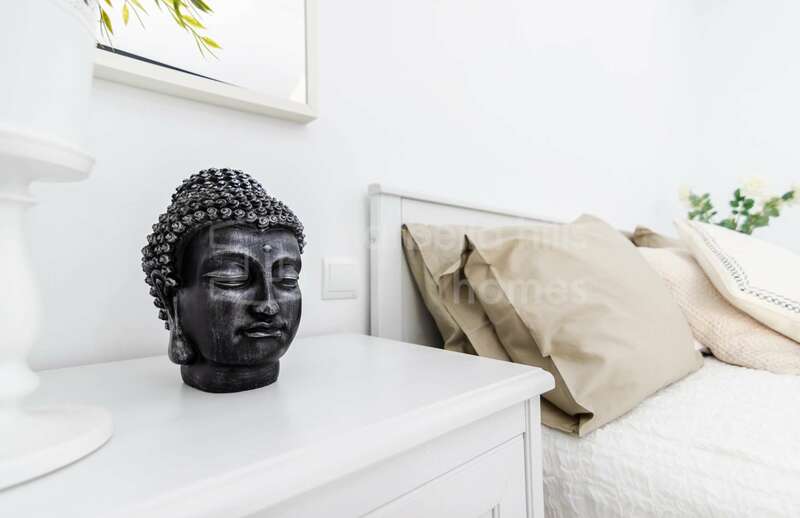 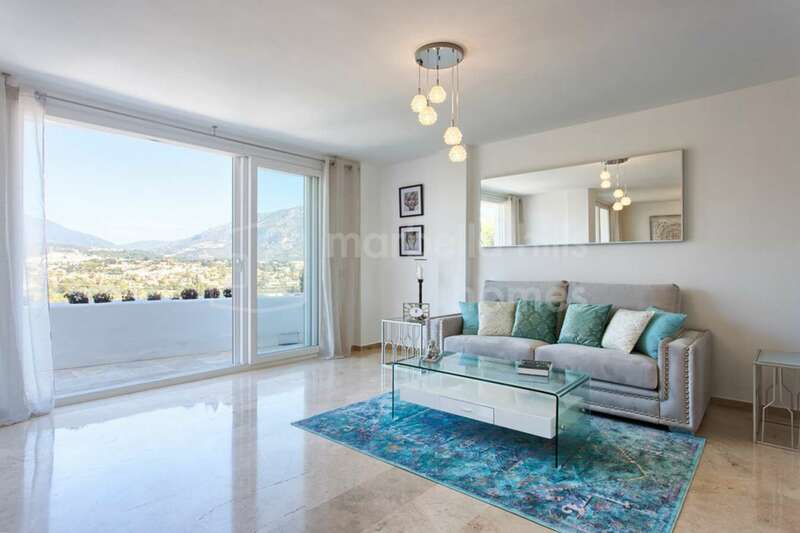 Recently completely renovated in a high-end design style, this bright apartment enjoys a superb location in one of the most beautiful complexes of Marbella. 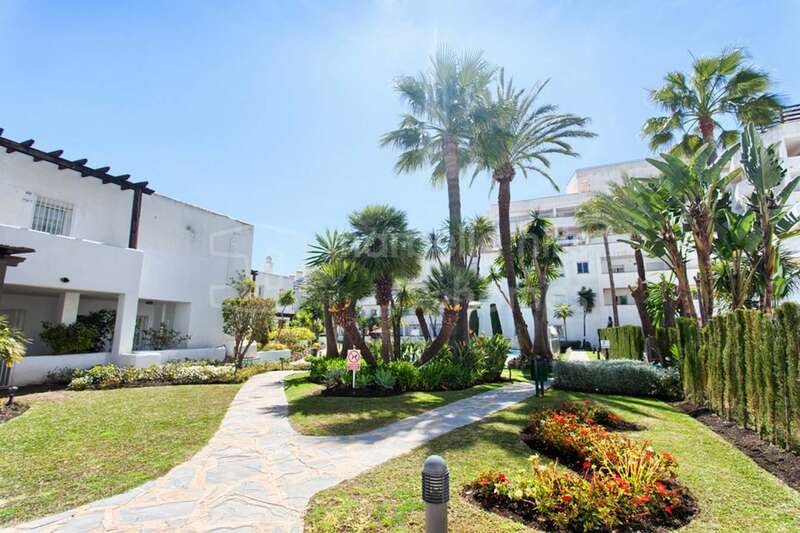 Aldea Blanca’s private and secure 24-hour community has beautiful tropical gardens and several pools. 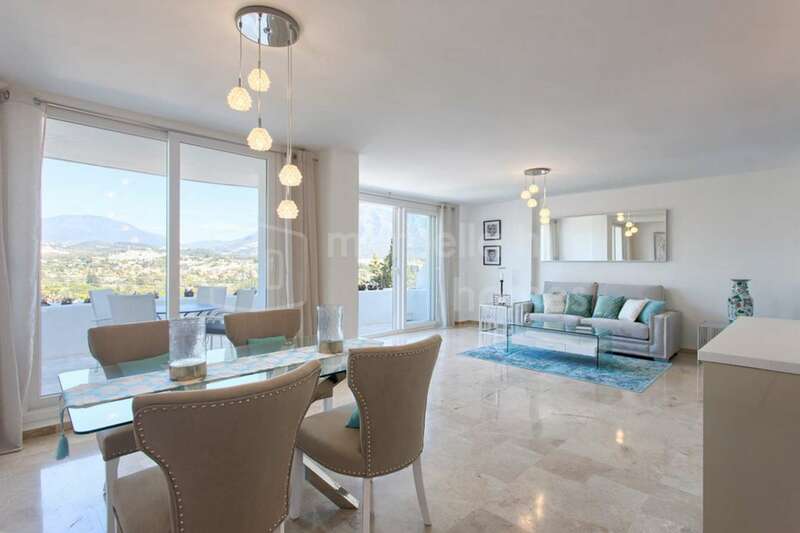 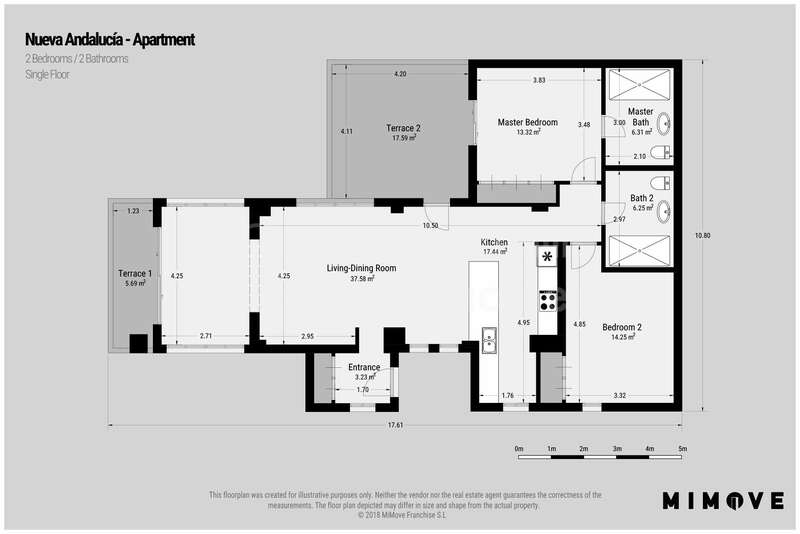 The apartment includes a large living area open living / dining room / designer kitchen fully equipped upscale giving direct access to a south-west facing terrace with views of the gardens and one of the swimming pools of the residence, two bedrooms, two luxurious bathrooms, the parental suite benefits from an access terrace and a very nice view on the gardens and the swimming pool.